Want to be sure all eyes are on your resume? This infographic provides some helpful tips when it comes to making your resume the best it can be. 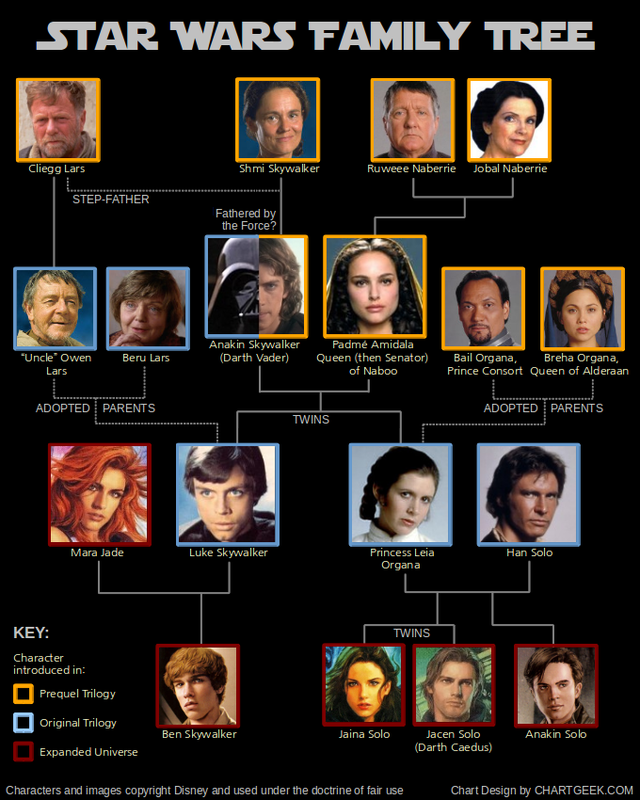 With the new Star Wars movies coming out here's a great little family tree chart to help you brush up on your Star Wars universe lore. It's also great for those of you who aren't really familiar with the extended universe. The chart was created by Chart Geek. NameBerry.com and PishPoshBaby.com have Teamed up to create this great infographic on baby names. Done in cute pastel colors and nursery-inspired illustrations, the infographic has several sections containing different kinds of trivia and fun facts about the whos, whats, wheres, whens, hows, and whys of infant monikers. A website’s speed matters for two reasons. First of all, users prefer websites that load quickly. Nobody likes sitting around waiting for images and other content to resolve, so if users aren’t able to access your site as quickly as they’d like, there’s a good chance they’ll hit the “Back” button on their browsers before giving your website a fair chance. For nearly half of its relatively brief existence, the United States has been actively involved in armed conflict, whether at home or abroad. Here is a closer look at wars involving the U.S. military from Best Liberal Arts Colleges. While 1 in 5 relationships now start online, it’s not all chocolates and roses when it comes to cyber-romance. As online dating gets bigger so do the scams. Fake profiles and fraud leaving a trail of broken hearts and empty wallets in their wake. miiCard, the online identity verification service, has put together this infographic to raise awareness of the need for greater trust on dating sites. See just how much fraud in online dating is growing here. How many times have you dreaded making that first kiss and wished there was a guide to getting it right? We don't claim to have a magic formula, but we do have some sensible suggestions. Hopefully it will help you make that next kiss the best one of all. Learn more about latest E-commerce statistics and trends of the country with highest online population i.e China. The country has more than 564 million internet users and is growing at rate of 4 million users per month. Most of us drive every day, but don’t really think about how truly dangerous it really is. This infographic presented by TraderQuote takes a look at some of the most dangerous roads and areas to drive around the world. Check it out below to learn more. This is Trackur's Ultimate Guide to Monitoring your Online Reputation. Check it out and see if you are putting all the right steps in place. Oh, and if you want to process of monitoring online reputation much easier, Trackur itself is an awesome service to accomplish this! For a mere $48 billion it may be possible to travel to Mars on your own private rocket in the near future! The red planet has always loomed large in humankind’s collective imagination. Now, with PayPal’s Elon Musk showing an interest in the red planet, the folks at paydayloan.co.uk decided to take a look at how much it would actually cost top set up home there. Juicing has become a major trend and more and more people are buying juice extractors to make their own juice for healthy benefits. This infographic has some basic information about juicing and just how many people are into this trend. Social media is buzzing in anticipation of Super Bowl XLVII. Networked Insights analyzed the top themes and conversations happening on social media on this new infographic. Our health infographic titled, “Why There Will Be a Shortage of Doctors with ObamaCare” sheds light on what the Affordable Care Act is and how it will affect you. ObamaCare has a lot of controversy around it, and will provide subsidies for low income families with Health Insurance Exchanges. However, if you make over $45,000 you will not qualify for any subsidies and individual health insurance plans will be more expensive to obtain. Our infographic provides surprising facts, such as how medical school admissions are down by 6% while more than 32 million people will be newly insured and need to see a doctor with the Affordable Care Act. This means longer hours for doctors, higher patient loads, and a lot of insurance red tape. According to the Doctor Patient Medical Association Foundation, 83% of doctors surveyed are thinking of quitting with ObamaCare in place. Take a look at our infographic below, and be sure to get affordable health insurance now before you face a tax penalty.